The original apartments weren't as lavish as you'd expect. It was the backdrop when President Donald Trump announced his candidacy in June 15, 2015. It's where he first celebrated the news of his stunning win, has served as the filming location for NBC’s “The Apprentice,” and has been a go-to for Miss Universe photo ops. 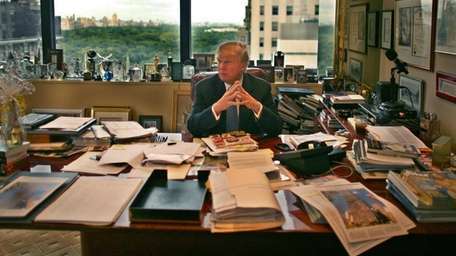 No matter what the endeavor – personal, political, business – Trump has often found a way to tie in his New York Trump Tower. The 69-story building is the heart of his real estate empire and is also his home. 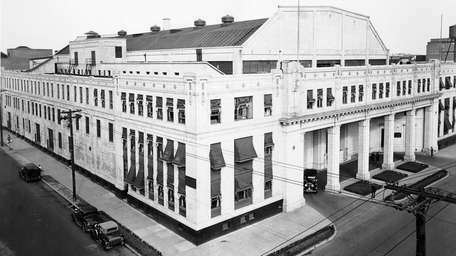 Opened to the public on Feb. 14, 1984, it has since become a tourist destination and shopping atrium. It’s defined by the Trump Organization as one of the most universally recognized buildings in the world. The president has often been quoted telling the press about the success of Trump Tower, but here are some secrets you may not have expected. A photo of Ivanka Trump kissing a Starbucks cup hangs on the wall right in front of the second-floor elevators (which you'll only be visiting if you're looking for a cup of coffee). "My favorite Starbucks and favorite drink! Thank you!" the autographed photo reads. Ivanka posted a video to her Instagram on Jan. 17, 2014, telling her fans that her favorite drink is a concoction she came up with herself: tall nonfat, raspberry, white mocha latte. 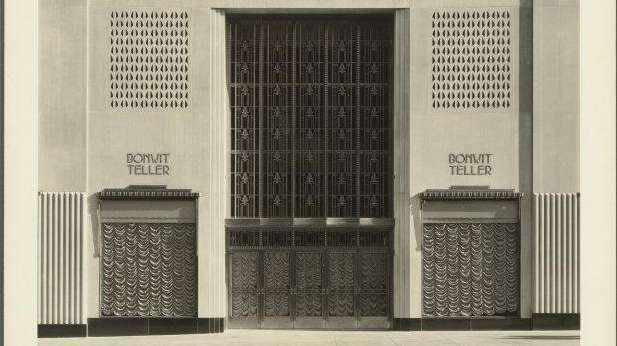 Bonwit Teller: The name doesn't mean as much to New Yorkers today as it did back in 1910, and Trump Tower might have something to do with it. 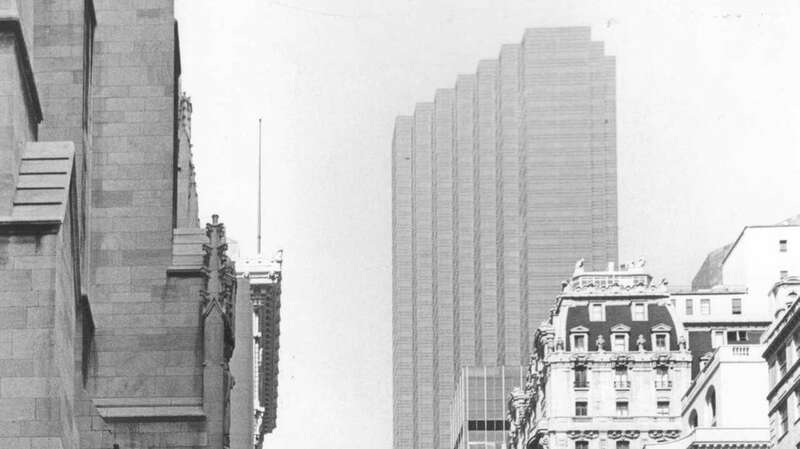 When Bonwit Teller & Company closed the doors to its 56th Street location in 1979, a 34-year-old Donald Trump acquired the property, deeming it the perfect space to build his iconic tower. New Yorkers were disappointed to see the once-beloved department store go, but the real trouble came when Trump promised to save the Bonwit building's signature reliefs (panels of two nearly naked women who appeared to be dancing) valued at nearly $200,000, D'Antonio said. Trump gave his word to donate the reliefs to the Metropolitan Museum of Art, but he destroyed them instead, he added. "Cutting [the reliefs] out of the facade of the building and hoisting them down to the sidewalk intact would have cost him money," he said. Money, it seems, Trump didn't want to spend. "His people said that the artwork was not valuable at all and it wasn't a big loss," D'Antonio said. The New York Times called it the demolition of a "lost landmark." There were as many as three fires reported at the tower during its construction. The blazes were actually quite common during construction in the 1980s, according to D'Antonio. Workers, builders and competing unions were commonly involved in tiffs to prolong the construction process, he said. On Jan. 29, 1982, a severe fire broke out that could have been detrimental to the building's completion. It only set Trump back two months, though, D'Antonio wrote in "Never Enough." "One of the things about Trump Tower that really matters is it was an all-concrete structure and could withstand damage like this better than expected. 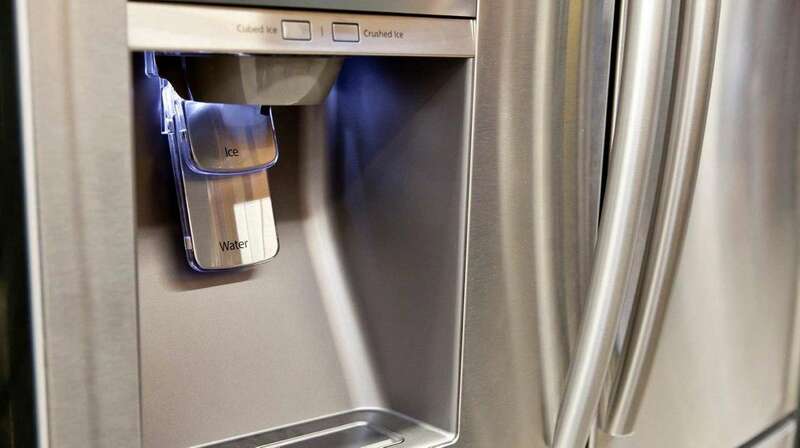 It could be repaired and changed quickly," D'Antonio said. Trump bought the air rights to the neighboring Tiffany's building for $5 million before building his tower, D'Antonio wrote. He even named his daughter Tiffany after the store, according to a New York Times article from 1993. Neither of these are reasons why Trump calls the Manhattan tower "the Tiffany location," he has said. 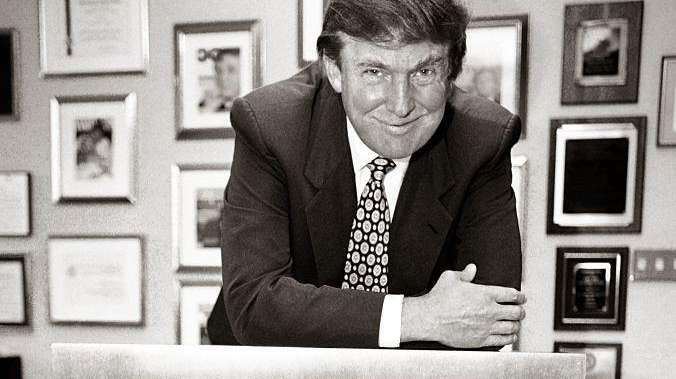 "When you're in real estate, the expression 'Tiffany location' means the best," Trump explained in a 1984 GQ interview. The first round of co-ops sold at the Tower were what came to be called his "basic package." One would expect them to be filled with amenities, but they were far from impressive, D'Antonio said. The furnishings weren't considered first class, Barbara Res, vice president of Trump Tower construction, told D'Antonio. The apartments featured the kind of flooring, fixtures and cabinetries you might have expected to find in Brooklyn or Queens at the time, D'Antonio said. In Trump's 1984 GQ interview, it was explained why the Tower's co-ops have smaller kitchens than one would expect. "The kitchens are small because most of our buyers are not that interested in cooking," a Trump saleswoman told GQ. "They are people who, when they eat in, order intimate little dinner parties from The Silver Palate." Tower residents are known for renovating and making the co-ops their own. That's when they become high-end, with the luxury one would expect. 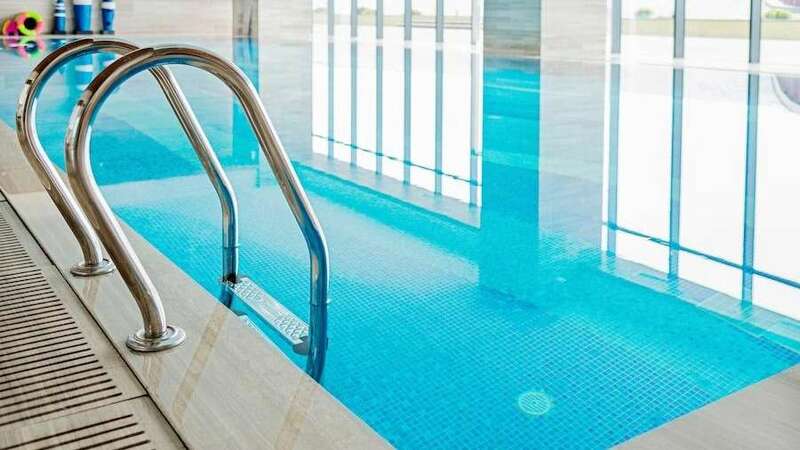 One resident built himself a private pool inside his Trump Tower home, D'Antonio said. Trump confirmed in the 1984 GQ story that the resident lived across the hall from Johnny Carson. "It's actually three apartments -- one's a duplex," Trump said. "Two for living in and one for just the pool. Lots of saunas. It's strange. It's an unbelievable situation." Trump faced a lawsuit in 1983 that claimed he knowingly employed more than 150 undocumented Polish workers to demolish the Bonwit building for Trump Tower, according to a Newsday article (pictured). 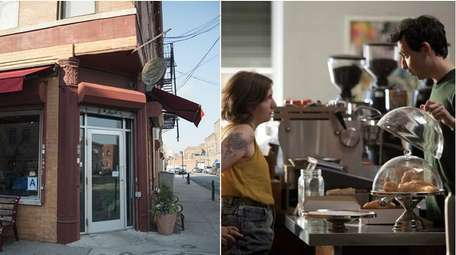 They were hired at $4 an hour to work 12-hour shifts, seven days a week and were not paid overtime, the lawsuit alleged. D'Antonio said the lawsuit also claimed the Kaszycki & Sons Contractors employees worked in poor conditions, slept in the building and were at times paid in vodka instead of money. Some were reportedly never paid at all. Trump denied the charges, saying he had no idea the workers were undocumented, Newsday reported in 1990. One year later, he faced a $1 million court judgment stemming from the case. Time is precious, especially when you're running an empire. 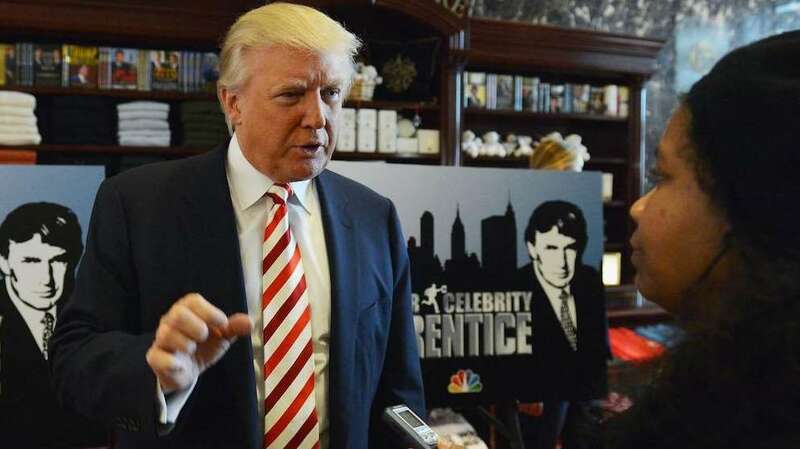 Producer Mark Burnett approached Trump with the idea for "The Apprentice" in 2004 and, while he was interested, the businessman was convinced he wouldn't have enough time to star in the show. Burnett got Trump involved by offering to tape at Trump Tower and promising to take up only three to four hours of his time per episode, D'Antonio wrote. Did Trump pose as a publicist to quiet the press? After the Bonwit Teller reliefs were destroyed, the press, architects, Metropolitan Museum of Art and the public were incredibly unhappy with his decision. John Barron, identified as the vice president of the Trump Organization, was quoted in a New York Times cover story defending Trump's decision. It was later reported by The Washington Post that Barron may have actually been Trump himself pretending to be a publicist. As recently as May, Trump denied posing as John Barron on NBC's "Today." "It was not me on the phone and it doesn't sound like me on the phone," Trump said. Barron, of course, is the name of his youngest son. 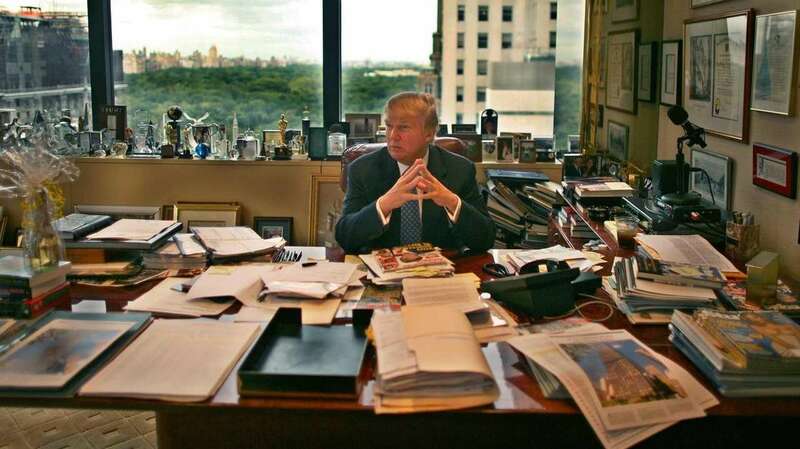 Thirteen-year-old Ignacio had one wish: He wanted to be fired by Donald Trump. When Ignacio appeared on a 2009 episode of "The Apprentice," Trump was supposed to help his Make-A-Wish dream come true. Trump hired Ignacio instead. He gave him an envelope filled with thousands of dollars and said, "Go and have the time of your life." The private residential entry (found on 56th Street) has a completely different vibe than the public atrium. The lighting is dim -- so dim, it'll take your eyes a minute to adjust, D'Antonio said. "It's so dark and quiet that you really do feel like you've left New York City behind," he said. "That really comes across and is appealing to his market, to have isolation and protection from the rest of the world." Since Trump's presidential win, however, that feeling of isolation has become scarce. Traffic surrounding the president's home is now a major concern. 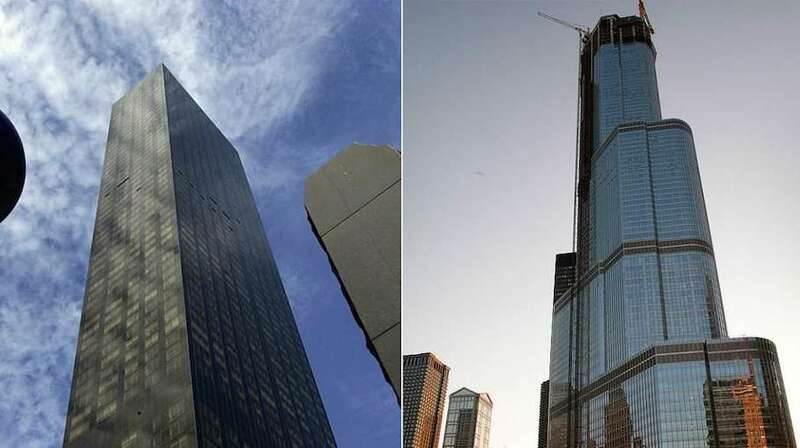 Trump Tower New York is 663 feet, with 58 floors, while its Chicago equivalent is 1,388 feet, with 98 floors. 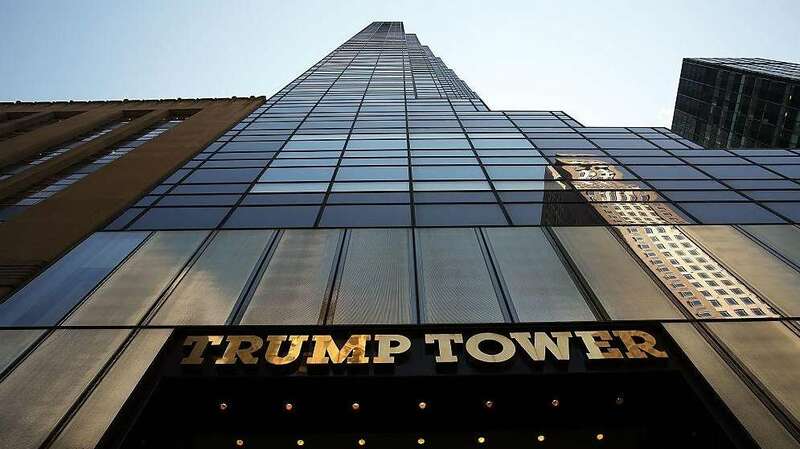 Trump Tower was at one point the tallest all-glass structure in Manhattan, according to the Trump Organization.